Plastic. This is a kneeling male photographer holding his camera. 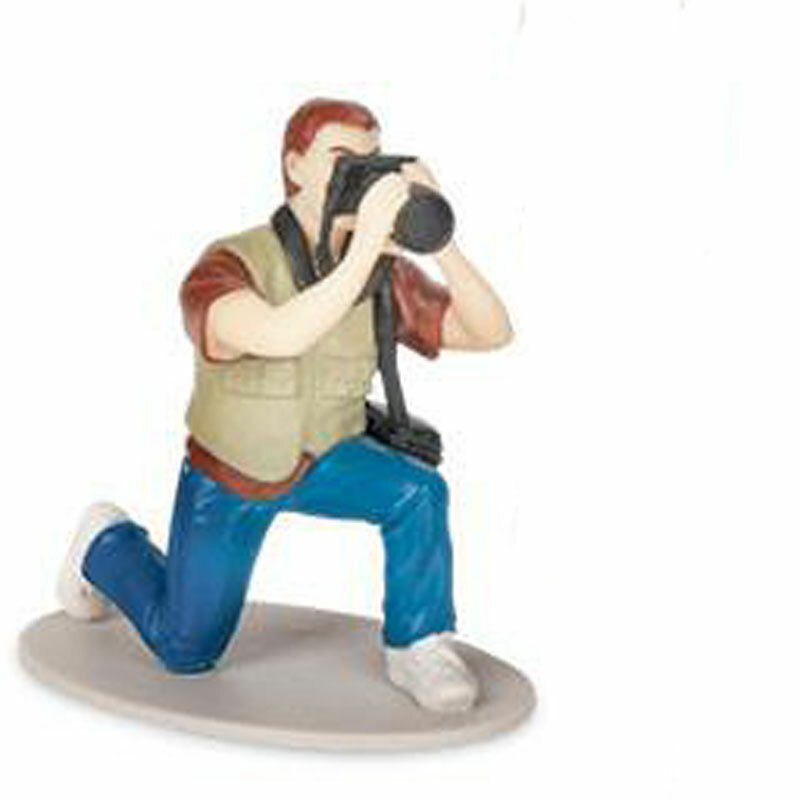 The photographer figure comes in one of two styles. Average 2.5 inches tall on an average 2-inch base. The male photographer is recommended as a sandtray / sandlay figure or for more general play therapy. Freestanding.